Let’s go on a hairstyle adventure! 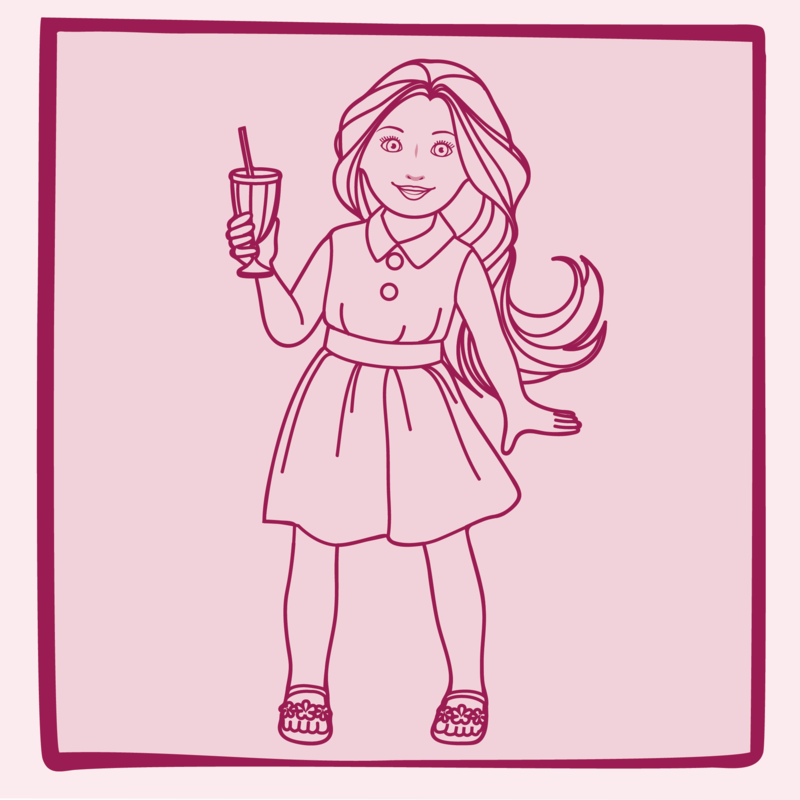 Take your doll hairstyling techniques from HAIR to THERE with Our Generation Hair Play Doll – Pria! 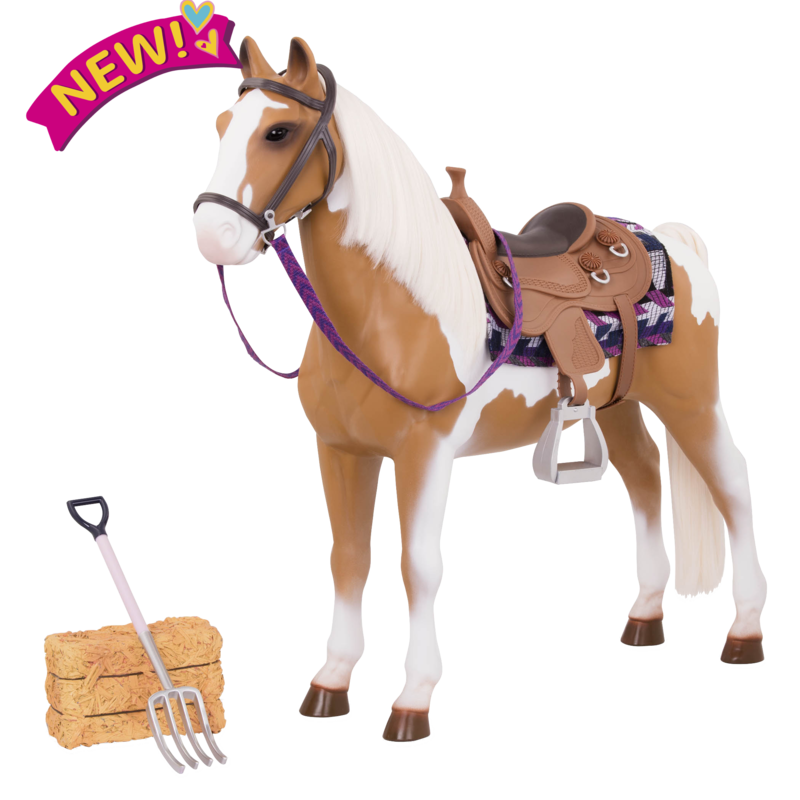 This beautiful 18-inch doll makes it easy to get inspired! Pria has lovely hazel eyes and ultra-long, beautifully silky blonde hair. She wears a blue floral dress with a pink lace bodice and a removable brown belt. 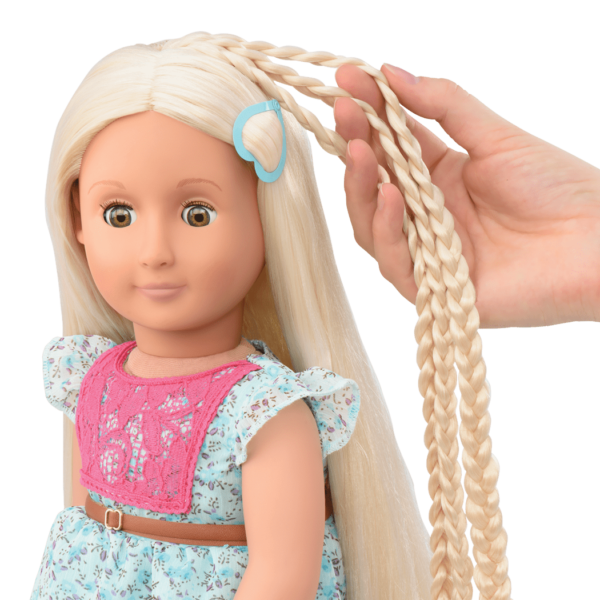 Her long, extendable braids can be made longer or shorter with the push of a button (but please don’t untie them!) 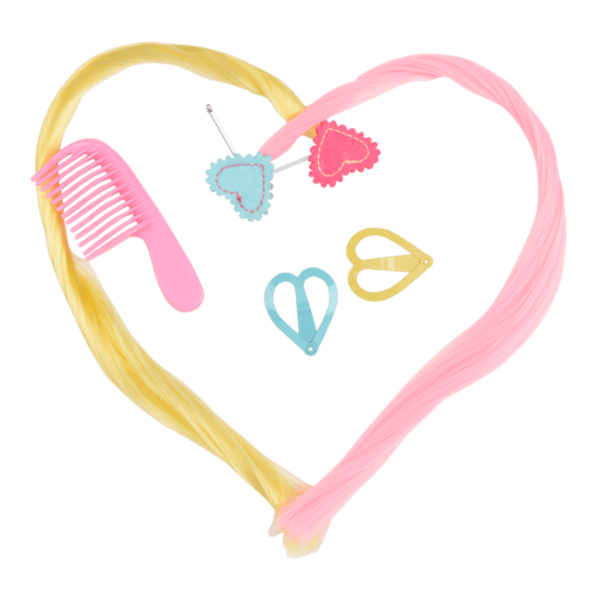 The included hair clips, hair extensions, and accessories can be used to create any hairstyle you can imagine, and you can use them to style yourself, too! 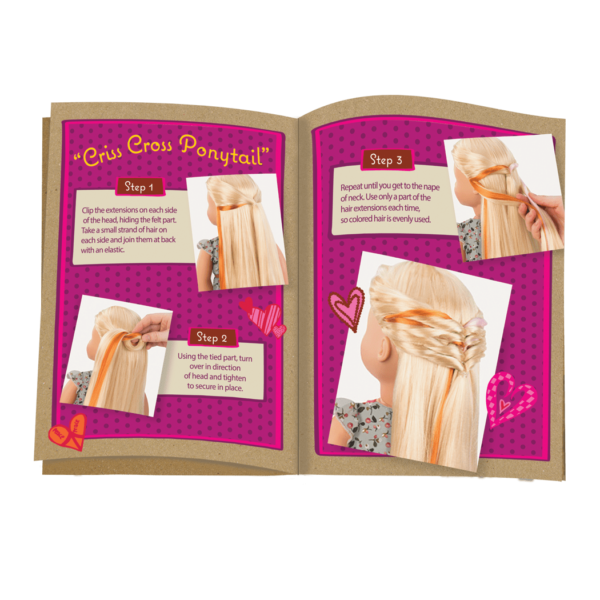 The included hair style guide will provide lots of inspiration, and you can have fun designing your own looks. 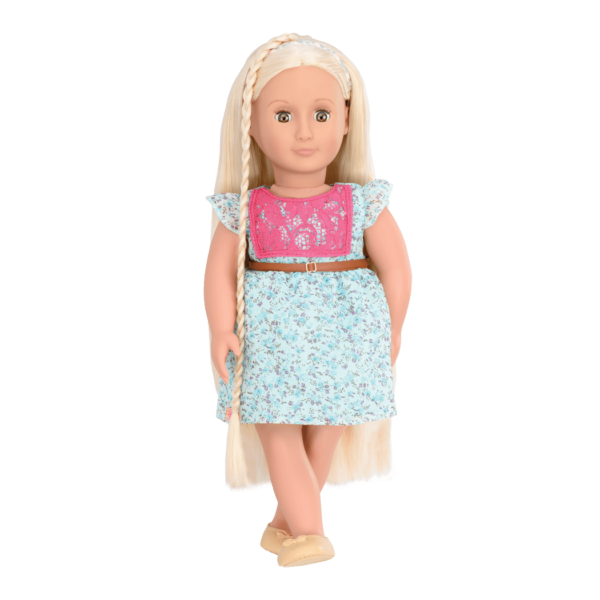 With Hair Play dolls like Pria, your imagination is all you need! 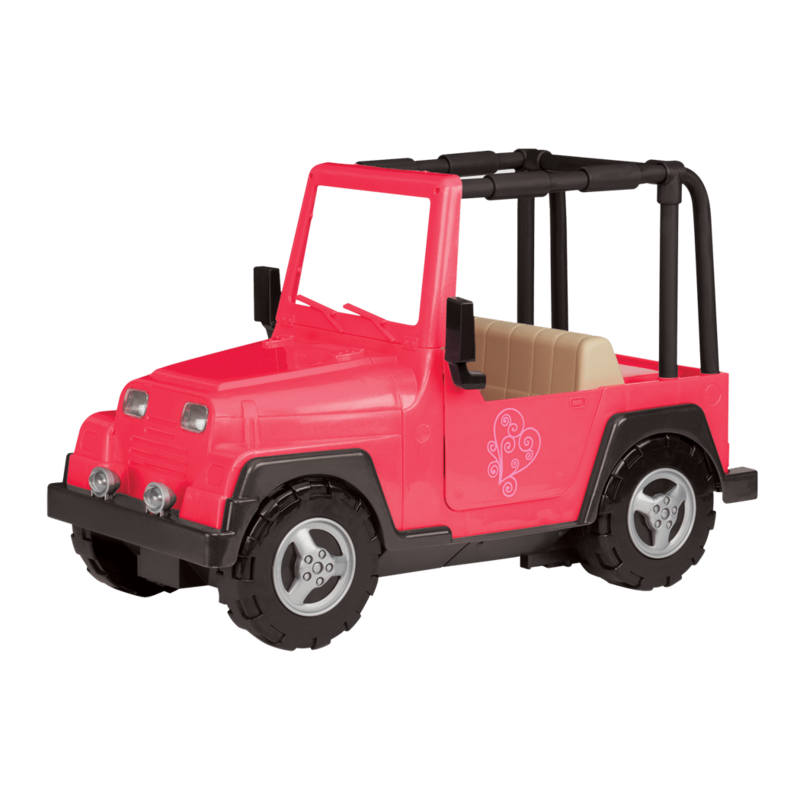 Hair Play dolls are so much fun, why settle for just one? Meet, like Flora and Patience, two of the Hair Play dolls who have ultra-long hair just like Pria. Give your Hair Play doll extra glamour with a head of temporary curls, using the Let’s Hear It for the Curl hair accessory set. 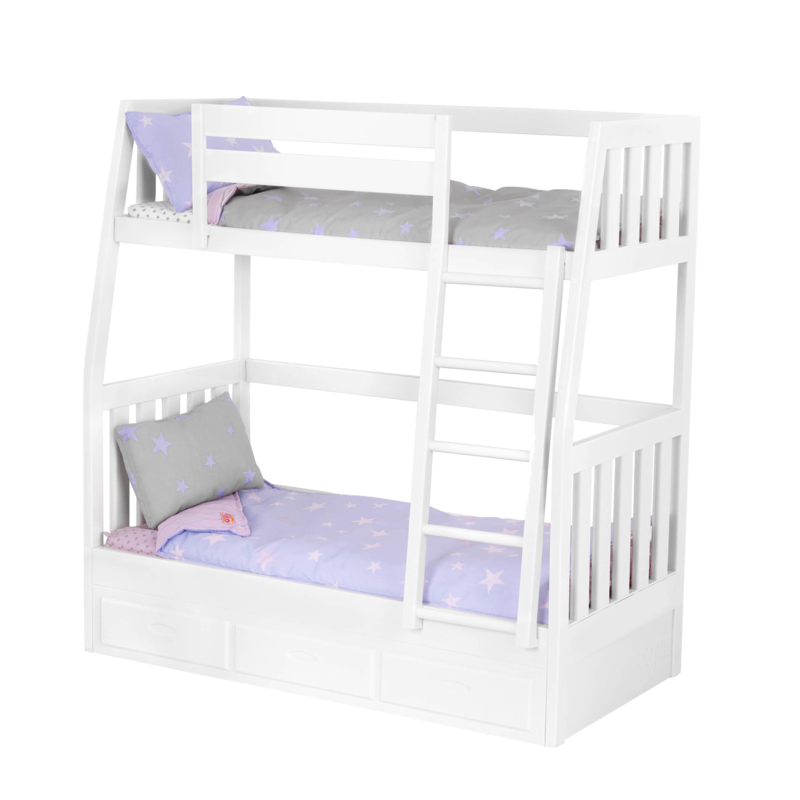 It has hair rollers that you can use to create temporary bouncing curls for your dolls! Styling doll’s hair is easier when you can keep both of your hands free. The Sitting Pretty Salon Chair lets your dolls sit down comfortably while you primp and prep their hair, so you can design new styles for miles!